Get cultured while you spin during this much-loved slot game from IGT. 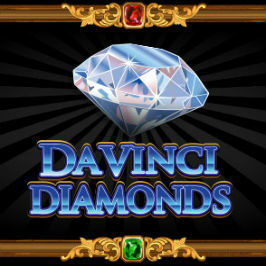 Da Vinci Diamonds was originally developed for land-based casinos, but – thanks to its popularity – has made the transition across to the world of online casinos. As well as fine art, there are some appealing prizes and bonus features to appreciate in this five-reel game, including Tumbling Reels. In this slot review, we’ll take you through how to play and the features that make Da Vinci Diamonds a timeless thing of beauty. Play Da Vinci Diamonds for Real Money! This unique slot title is themed on the Renaissance period: more specifically the works of Leonardo Da Vinci, one of the most famous artists from the period. Combined with glittering diamonds, there's no short of refinement and sophistication to this online slot. The reels are set against a plain black background for a minimal yet classy gaming experience that perfectly suits the subject matter at hand. The symbols are made up of gemstones of various colours and famous works by Da Vinci including the Mona Lisa, Lady with an Ermine and Portrait of a Musician. The way the symbols appear on the screen is fairly unusual for a slot: they're thrown on top of each other Tetris-style, rather than simultaneously spinning. The paylines are fixed at 20 in Da Vinci Diamonds: all you have to decide is your line bet, with a minimum of £1 and maximum of £100. 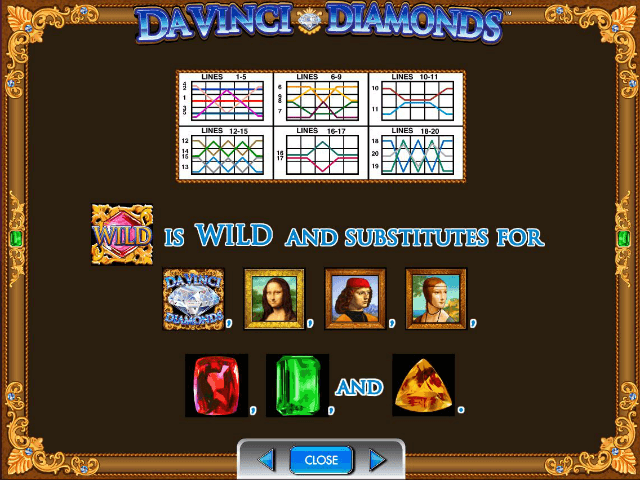 Diamonds are certainly your best friend in this game – land five of the Da Vinci Diamond symbols and you’ll scoop the jackpot of 5,000 coins. Watch out for the Wild Symbol – a pink gem – which substitutes for all other symbols except for the Bonus and Scatter icons to create extra winning possibilities. The maximum number of free spins you can get during the Bonus feature is an impressive 300. 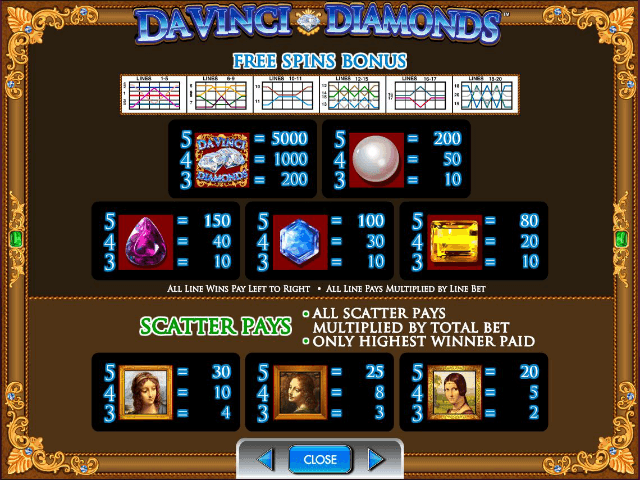 The symbols on the reels during the Free Spins Bonus look slightly different to the base game, but again the Da Vinci Diamonds is the highest-paying symbol. There are also three Scatter symbols at play during the bonus feature depicting three paintings of women by Da Vinci. All Scatter pays are multiplied by your total bet and if you land more than one of the different symbols, you get paid for the highest one. Thankfully, the Tumbling Reels feature is still active throughout the Free Spins game so there are some big wins to be had. 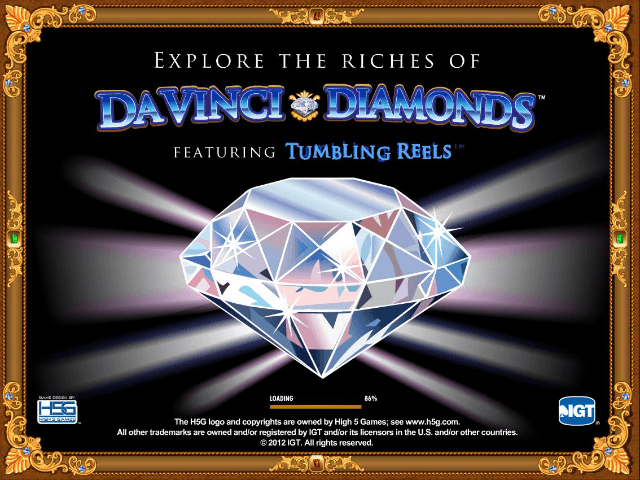 Take a step back into the Renaissance period and get those diamonds tumbling! Share this Da Vinci Diamonds Review today! 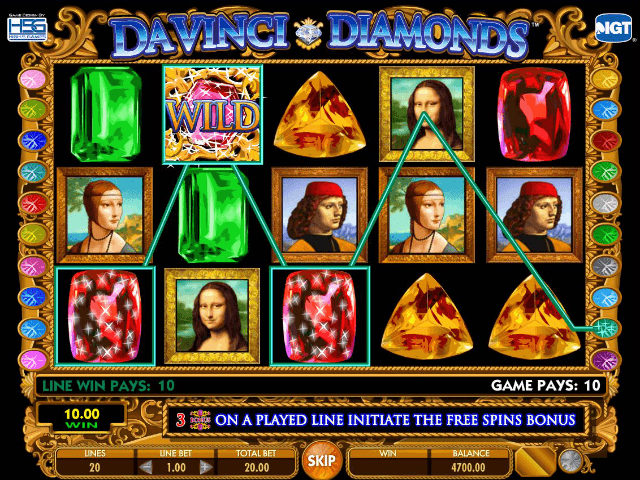 If you like Da Vinci Diamonds, you'll love these slot titles too!